On October 28th, Tesla made a new revelation on their next innovative move, which in truth was predicted by very few. Elon Musk, the man whom is viewed by many as the global flag bearer for green energy took to the stage in the purpose built artificial town within the Universal Studios; the audience was there to see Tesla’s new ‘solar roof’, however, no one expected what was to come. It was about a minute into the presentation that Elon Musk with very little expression said, “The interesting thing is that the houses you see around you are all solar houses, did you notice?”, to answer Musk’s question, no, hardly anyone noticed the roofs consisted of solar panels. The roof tiles are actually made of textured glass. From most viewing angles, they look just like ordinary shingles, but they allow light to pass through from above onto a standard flat solar cell. The plan is for Panasonic to produce the solar cells and for Tesla to put together the glass tiles and everything that goes along with them. That’s all predicated on shareholders approving the $2.2 billion acquisition of SolarCity, the biggest U.S. rooftop installer, on Nov. 17. A large part of the struggle companies face when trying to encourage homeowners to install solar panels on their roof, is the ‘ugly’ look it gives to the house. Hence the reason Tesla’s invention has the potential to be such a game changer within the industry. In a perfect world it’s ideal to think that looks are not an issue and that people will invest in renewable energies to slow down climate change, however, this is not the case and the aesthetics of a property still play a crucial role in decision making. Musk said that someone who buys a Tesla roof will save money compared with someone who buys a comparable traditional roof plus electricity from the grid. But make no mistake: This will be a premium product, at least when it first rolls out. The terra cotta and slate roofs Tesla mimicked are among the most expensive roofing materials on the market. 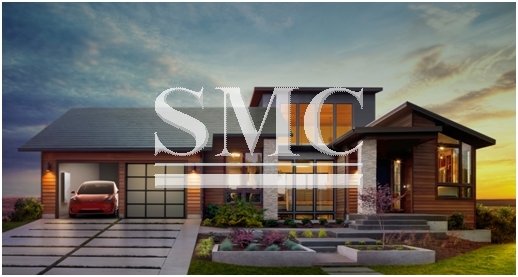 SolarCity CEO Lyndon Rive noted that the price of a conventional roof can vary widely, from $7,000 to $70,000—based on materials, size, complexity, location—so giving out firm prices of a solar roof at this point would be difficult. However, now the idea has been publicised, you can expect competitors to use it as inspiration for their own developments and to see the price of it to creep down.